Headin’ to the Elitist derby tomorrow, on the St. Johns River — soon to be renamed the St. Johnny Morris River (lol). Stoked! Lookin’ forward to seein’ old-timers like Chris Zaldain (hahaha Zaldain!) 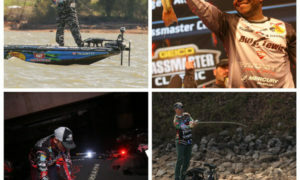 and the new guys, as well as the #bassstrong folks. 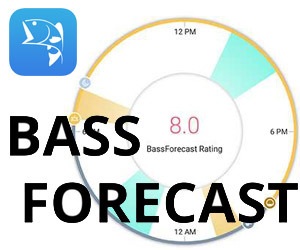 Prediction: Bass will be caught. Second prediction: The fish will be damp in nature. For whatever it’s worth, we’re all one big family. You, me, the Elites, BPTers, FLW, etc. At times the family gets along, sometimes not — if your extended fam is like mine, it’s at best 50/50…ugh. Way I do it is just lovin’ bassin’ for where it is, not where someone wishes it was or thinks it should be or whatever. All good. 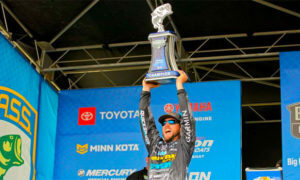 How Jordan Lee caught his fish and won it. Pick a number, any number, as long as it’s not 4. Hold a tournament that many days (any number other than 4) and put your $$ on Jordan “the Terminator” Lee. Cuz that’s how he rolls. > “I used 2 baits. My main bait was a vibrating jig with a gold blade — gp with a little chartreuse. Something about that color was money…the gold blade was the ticket for sure….was definitely getting more bites. 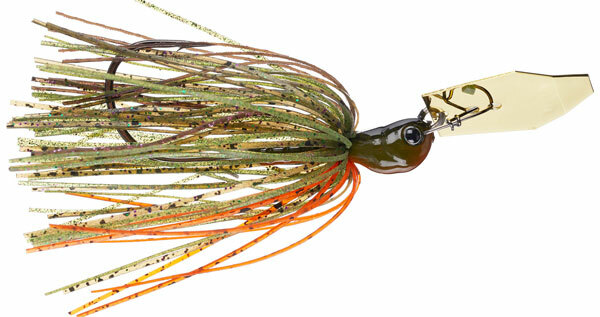 I was using a few different minnow-style trailers, 3.5″ and 4” [gp]. > “I was burning that with a 7.3:1 Revo STX and 7′ 3″ MH Abu Fantasista Premier Rod with 17-lb 100% Fluorocarbon. I was reeling it pretty fast, burning it over the grass, getting that reaction strike. I couldn’t catch those fish slowing down [flipping]. That’s a little bit opposite from FL because it was a cold front — it was a warming trend, but it was pretty cold the first part of the tournament. > “…fishing scattered hydrilla…better fish were in hydrilla mixed with dollar pads. When I got around that, I made that comeback the 2nd day. You have to have that hydrilla where the water’s cleaned up. That’s where the better fish are. > “My other bait was a Berkley MaxScent General (black/blue) on a light sinker (3/16-oz tungsten) and a 4/0 Berkley Fusion Hook [Heavy Cover]. I was flipping that around isolated pads. 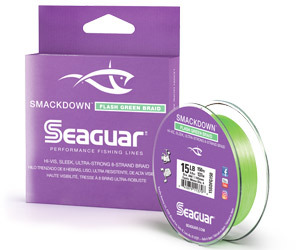 …7′ 6″ H Fantasista Premier and a Revo Rocket with 50-lb Berkley X9 green braid. > “Depth was 2.5-3.5′. 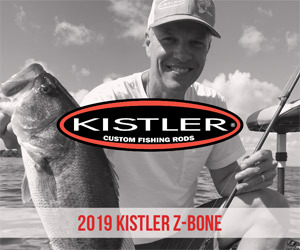 The hydrilla needed about 3.5′ on Kissimmee. You had to cover a lot of water. Rest of the story is here. Reminder that as of this year, Jordan’s no longer with Strike King. 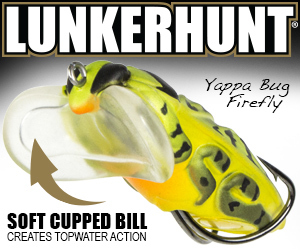 > Berkley Rocket Craw and Chigger Bug (both watermelon red and black/blue), 4/0 Berkley Fusion Hook. 7′ 4″ Johnny Morris Platinum Rod, BPS Johnny Morris Platinum Reel (8.3), 50-lb XPS braid. > 1/2-oz vibrating jig (gp), 7′ 1″ MH Platinum Rod, same reel. 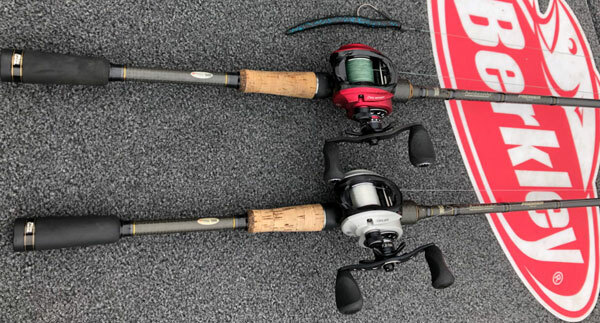 > Jackall TN 70 (spawn tiger andHL black and gold) on 16-lb Sunline Crank FC fluoro with a 7′ 5″ signature Ritual Angling reaction bait rod and Shimano Metanium HG. 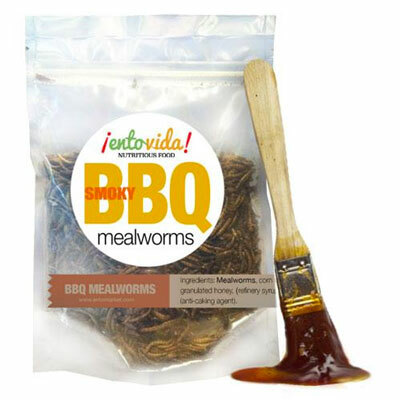 > Fished through pads with hydrilla mixed in, in 1-3′. Shootin’ fer Anthony Gagliardi’s and Alton Jones Jr’s baits next time. Yes that’s a real ‘stache…. 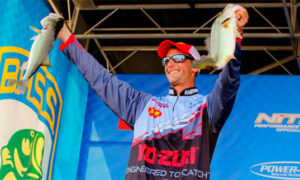 Several of the BPTers used Chatterbait-style bladed jigs — except Brett Hite….kidding. 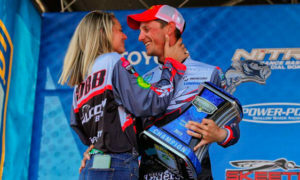 Couple examples: Jason Christie used the BOOYAH Melee/YUM Pulse, and Dave Lefebre used the Terminator Shuddering Bait. 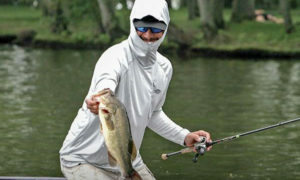 Maybe you think that’s weird — it was cold there, FL fish don’t like the cold and bury up, that’s why lots of guys flipped. 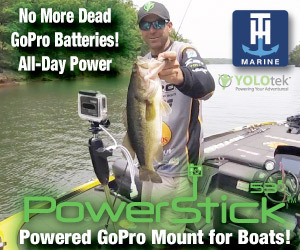 Makes sense, but you might remember or might not know that the Chatterbait made its bones on the tourney scene in FL in the winter/early spring — so makes sense it’s in the mix. Know that you can’t have multiple weeks in Jan or Feb where the weather’s nice and stable — cold fronts are a fact of life. And still the Chatterbait worked. 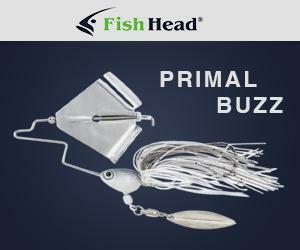 …tho many other Chatterbait and other bladed jigs have gold blades…if you want a gold blade. 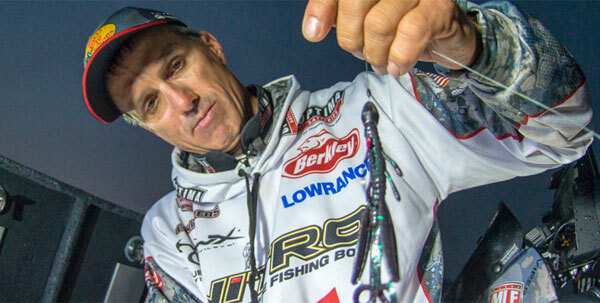 Top 10 baits from the Okeechobee Costa. 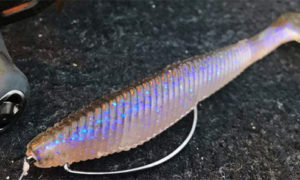 Stick worm (Senko-type) = 50% — all I saw were black/blue. 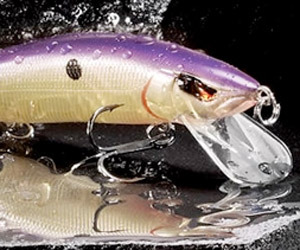 > Check this crazy story abut Lance Oligschaegler (7th): “…throwing the discontinued Rapala Risto Rap. 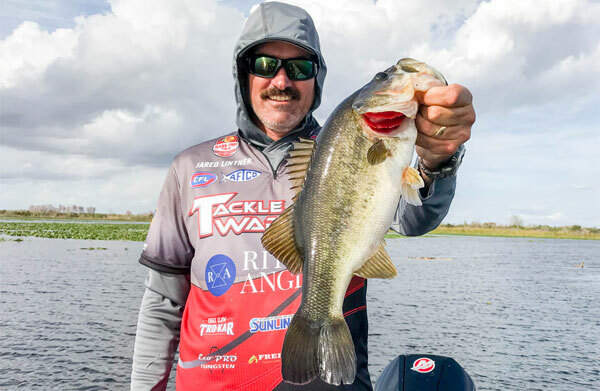 It was the only Risto Rap he had with him, and when the bill broke off in practice he super-glued it back on…making it through the entire event unscathed.” Fished a tourney with one bait — crazy! 1. 4 Elites get Humminbird/Minny Kota. 2. 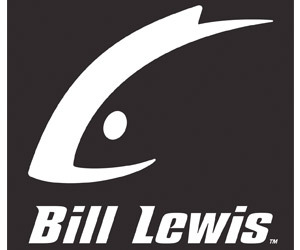 Bill Lowen is on Bassin’Edge Radio. 3. Elite rookie Brad Whatley gets Denali Rods. 4. 2 FLWers get Gator Guards/KeelShield. James Niggemeyer and John Hunter. Brian Latimer and Casey Scanlon already on there. 5. Zona stoked to see who will emerge on the Elites. 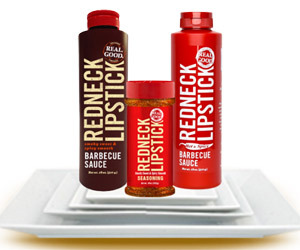 > I think the reason they’re all so jacked for this season is they don’t have to fish against KVD. Hahahaha heck yeah! donny barone has a little insight into a few new guys. 6. TX: 14.57 outta Marine Creek is “sister” of other DD bass. 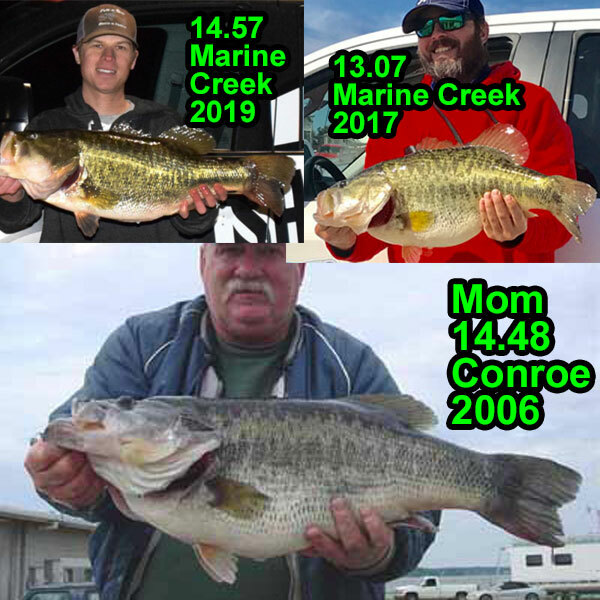 > …a full sibling to the 2017 Marine Creek Lake fish [13.07], both stocked from the same group of selectively bred largemouth bass 13 years ago. 7. 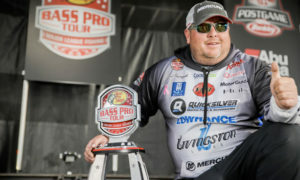 KY: FLW supports eliminating new entry fee and ramp tax. Good! Hope you KYers are doin’t he same. 8. FL: Dates for spraying public hearings are out. 9. LA: Outdoorsmen fighting for Catahoula Lake. > …the presiding judge sided with the plaintiffs’ expert testimony in his decision to declare that Catahoula Lake was a flooded river basin and a man-made lake, and therefore not a publicly owned waterbody. 10. TX: Floods, cold holding off salvinia in Caddo. 6,000 acres 2 years ago, now 1,500 acres…which is still a lot…. 11. OK: State expands Honey Creek area with land purchase. 12. AL Bass Trail working with AL DNR to analyze bass genetics. 14. 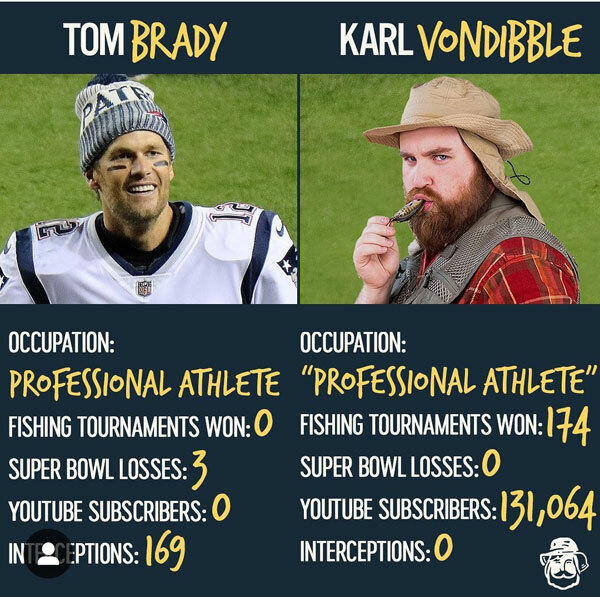 Sign up for Tackle Warehouse Fantasy Fishing. 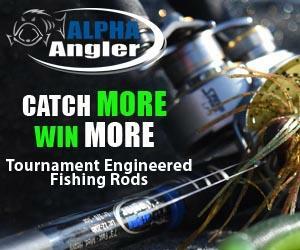 Lot of rods on the prize list…. 15. 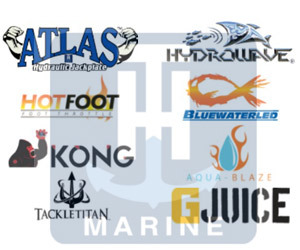 Here’s Tackle Warehouse’s latest stuff on clearance sale. > Good deals on “old” Sonar units that are still sick…. 16. 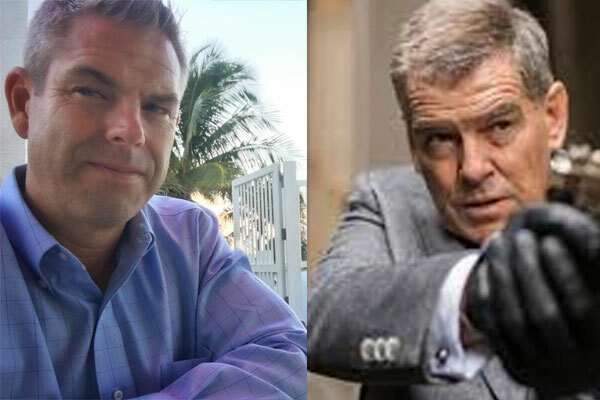 Daren Cole joins Blue Heron PR as partner/GM. Hahaha what up Cole and the Herons! 17. KY: Muzzy bowfishing tourney Jul 13-14. > …fishing will take place on Kentucky and Barkley lakes, as well as the Tennessee and Cumberland Rivers. 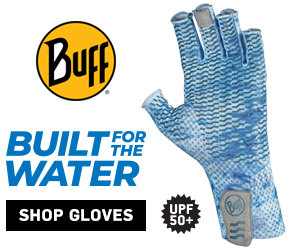 Tell your slime-lovin’ buds so they can go out there and kill some carp! 18. WA DNR wants to raise salmon for…killer whales?? 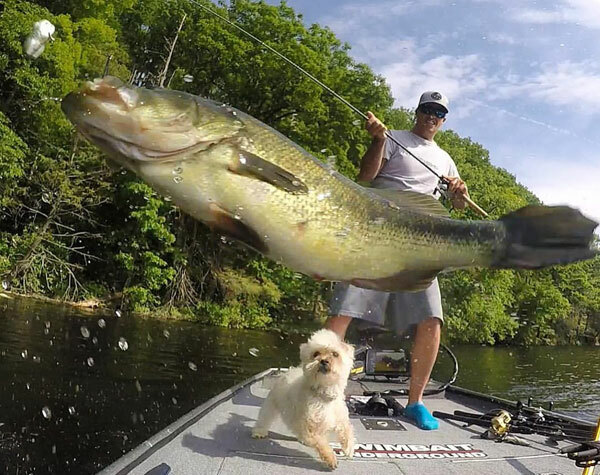 Not bassin’ but…are state DNRs in that business now? Do orcas buy fishing licenses?? 19. Had to call this one out. 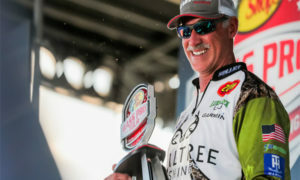 Brett Hite: How to fish the Jack Hammer. > “The only way you really know you have a bite is if the bait stops vibrating.” It’s either hung or it’s a fish so set it. > He reels til he feels the weight of the fish, then does a side-sweep hookset. (I’ve been doing this wrong big-time!) That sounds slower than it really is, as you can see in the vid. > Apparently you gotta grunt on the hookset (hahaha Hite!). Pulled pork — Hatchet, “Flirtin with Disaster” — been re-learnin’ this on the ‘lectric fiddle…sick! Catfish fingers — Blackfoot, “Too Hard to Handle” — song about J-Lee I guess…. Find me one current band better than those 4 bands right there…ain’t gonna happen. And yep, several of those band members fished for the basses!